The three established British parties – the ruling Conservatives and Liberal Democrats, and the opposition Labour Party – have all promised to restrict immigration in one way or another, while the insurgent UK Independence Party wants to cut it radically. The Scottish National Party, which is likely to do very well, has also expressed its preference for a more ‘controlled’ system. They say that in a democracy people get the leaders they deserve, and this political consensus certainly reflects widespread hostility towards immigration among the British public. Such concerns are not mere xenophobia; they also reflect some justifiable concerns regarding the unprecedented speed and scale of recent immigration. Over the last two decades, the number of newcomers settling in the country – around four million – is roughly twice as many as came during the 50 previous years. 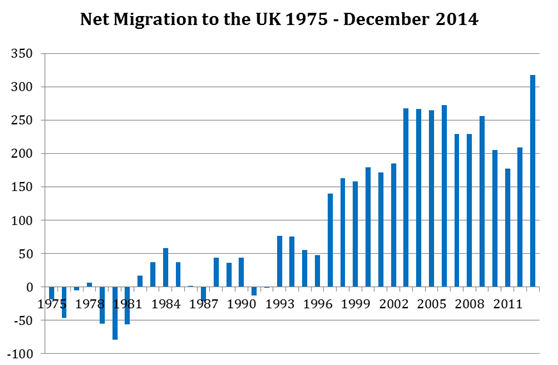 Net immigration last year, estimated at around 300,000, is the highest on record.The 500,000 increase in Britain’s Polish population over the last decade represents the single largest and fastest wave of immigration in the country’s history. Such rapid and radical change, while undoubtedly having many positive effects, also inevitably causes disruption and difficulties for some natives (in particular for low-paid workers). Yet it is often hard not to feel that politicians are pandering to irrational fears rather than addressing legimiate concerns. A good example of this – and one that is particularly relevant to Polish immigrants – comes in the campaign against so-called ‘benefit tourists’. A regular complaint among those calling for reduced immigration is that many newcomers are not moving to Britain to work, but to gain access to its generous social-welfare system. In response, politicians have competed with one another to promise ever more stringent restrictions on access to welfare for immigrants. This is an area in which genuine arguments for reform can be made, on the grounds of both fairness and pragmatism. The legitimacy of a welfare system rests upon a sense among the taxpaying public that their financial contribution is being fairly distributed, and that there are no free-riders exploiting the generosity of others. The idea that a newly arrived immigrant, who has paid little or nothing in taxes, should be given immediate access to benefits is understandably irksome for many. 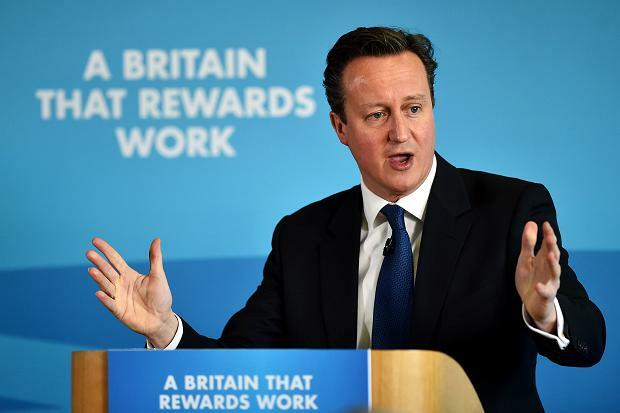 It is true that, as many studies have shown, only a tiny proportion of migrants live off benefits and overall they pay more in taxes than they claim back from the state. But the mere fact of it being possible for new immigrants to claim benefits – and the willingness of the media to draw attention to the cases where they do – is enough to undermine trust in the fairness of the system. On a more pragmatic level, the British government understandably wants to spend its money productively, and to attract immigrants who will contribute positively to the economy. So it has a legitimate interest in setting a welfare policy that meets these goals. However, much of the rhetoric surrounding the issue of benefit tourism bears little relation to such genuine concerns; instead, politicians are more interested in superficially placating public anger through populist, punitive policies that offer little practical benefit. Indeed, in some cases their consequences are entirely counterproductive. A perfect illustration is the issue of child benefits. In accordance with EU law, immigrants from the European Economic Area and Switzerland are entitled to claim these even if their children live in a different EEA country. 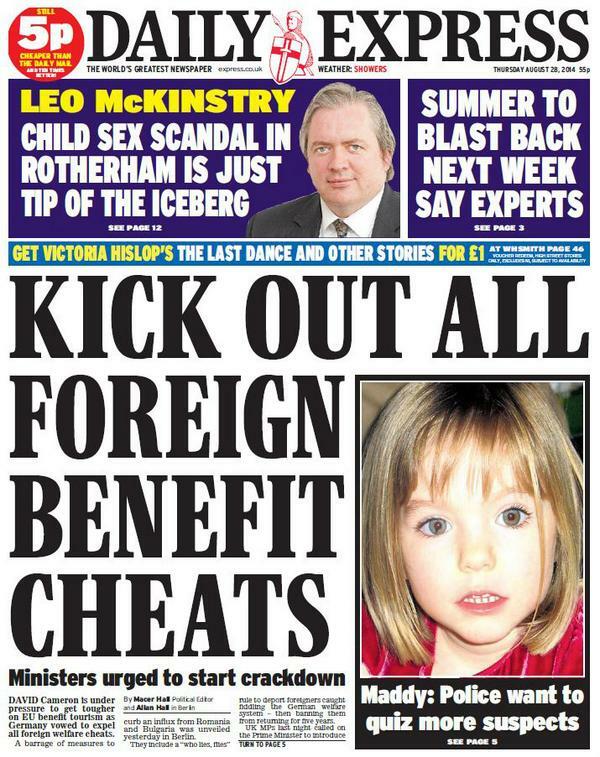 Currently, there are around 20,000 families in the UK claiming benefits for almost 35,000 children living overseas. The vast majority of beneficiaries – around two-thirds – are Polish. This fact was has been seized upon by the anti-immigration brigade as an exemplification of how Britain’s welfare system is being abused: it is ‘absurd’, ‘mad’, an ‘incredible case of benefit tourism’ that Polish parents can claim £20 a week from the British taxpayer for a child living back home, whereas the Polish government would only be giving them £3-4 per week. The media claim that £31m a year is being ‘sent abroad’ in this way. Political leaders, desperate not to seem out of touch with public concern over immigration, have jumped on the bandwagon. The Conservative prime minister, David Cameron, declared it ‘wrong that [for] someone from Poland…we should be paying child benefit to their family back at home in Poland’. The deputy prime minister and leader of the Liberal Democrats, Nick Clegg, describes the situation as ‘perverse’, while Labour says it is a ‘scandal’. All three parties have pledged that, if they win this week’s election, they will seek to stop all benefits for children living outside the UK. Yet while such a policy may superficially appear reasonable, it is in fact both unjust and completely self-defeating. If an immigrant worker pays the same taxes as everyone else, he or she is entitled to the same social welfare as everyone else. It is none of the government’s business in which country that money is spent. Britain does not stop paying retired workers their pensions if they move abroad; and, similarly, child benefits should be the right of all workers, regardless of where their children live. The British public may, admittedly, not care very much about being fair towards foreign workers and their governments. But Sikorski’s comment also hints at why – from a completely pragmatic, economic perspective – the proposal to stop child benefits for overseas workers is a terrible idea. For it is very likely that it will end up costing British taxpayers more, not less. At the moment, Britain has the best of both worlds: it gets the economic benefits of the hard-working, tax-paying adult workers, without the expense of providing education, healthcare and other services to their children. If Britain decided to stop paying child benefit to these parents, this favourable situation would be at risk, because some of them would decide to bring their children to the UK instead, requiring the British state to support them. We can make a very rough estimate of how much each additional immigrant child would cost the British taxpayer. The government calculates that in 2009-10 it spent an average of £3,750 per pupil annually on primary education. Secondary schooling is slightly more expensive, so let’s round that figure up to £4,000. But we also have to take into account that the children of immigrants are particularly costly to educate, as schools need to provide remedial English lessons, bi-lingual teaching assistants and even interpreters to help speak with parents. 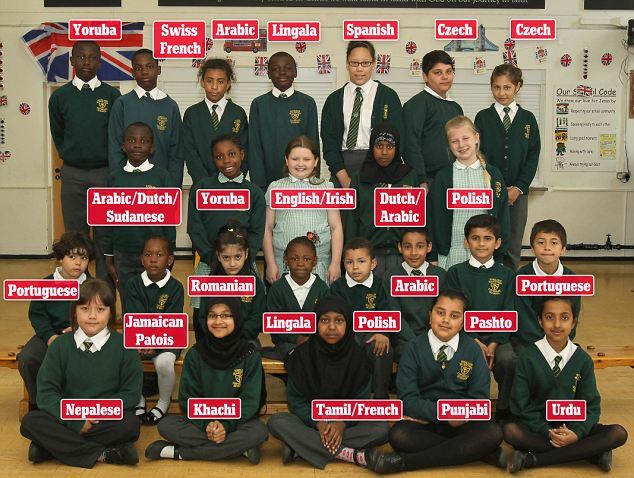 One study (p. 21) found the average extra expense for each ‘English as an Additional Language’ pupil to be £1,000 a year – so let’s add that to the bill for our immigrant child, bringing the running total to £5,000. Now let’s include healthcare, which in 2009-10 cost (p. 57) the government an average of around £1,000 a year per school-age child. Child benefit is another £1,000 or so, bringing our final total to £7,000 (and this is a conservative estimate that doesn’t include other costs, such as child tax credit or housing benefit, plus inflation over the past five years). This figure suggests that if stopping benefits for overseas children caused parents to bring just 10% of the affected children to the UK, these 3,500 additional minors would cost the state £24.5m a year – almost completely wiping out the £31m in savings brought about by this policy. If any more than 12.5% of the children moved to the UK, the policy would end up costing British taxpayers more than it saved. There are also other indirect costs we could factor in. For example, imagine two Polish parents are working in the UK while their child remains in Poland, looked after by grandparents or other family members (such ‘Euro-orphans’ are very common). If child benefits are cut, and those parents therefore decide to bring their child to join them in Britain, then one or both of those parents are likely to be able to work fewer hours, meaning a smaller contribution to the economy and the exchequer. Moreover, this would make them likelier to stay in the UK longer – to avoid disrupting their child’s education and social life – or even to settle permanently, rather than return to Poland. 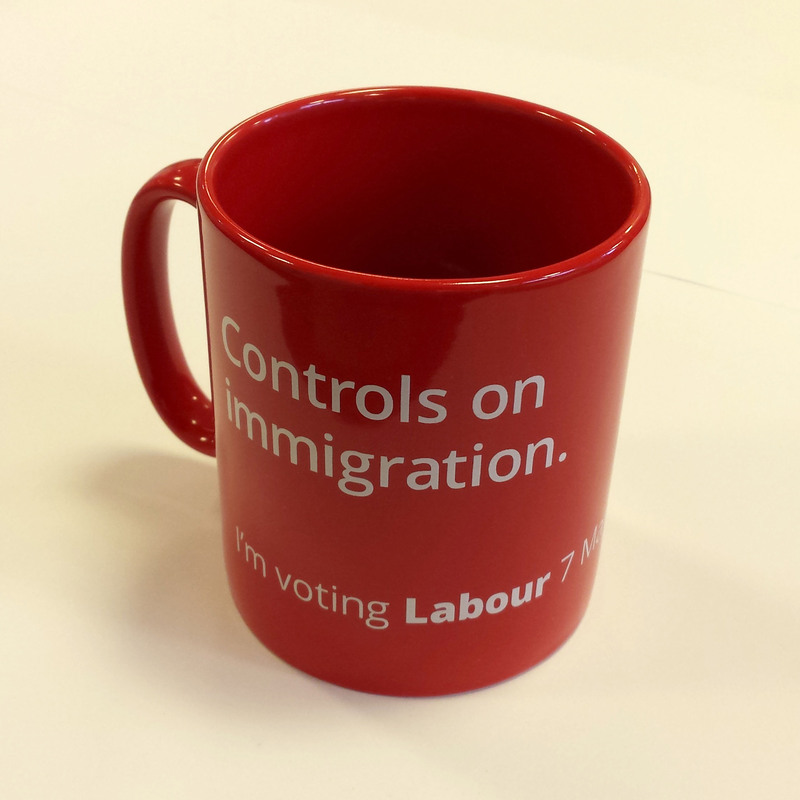 This is presumably exactly the opposite of what anti-immigration campaigners want. This whole issue also damages Britain’s reputation. The angry political and media rhetoric demonises parents who have already made the incredibly difficult decision (especially in a society as family-centric as Poland’s) to live hundreds of miles away from their children. And the policies designed to tackle the ‘problem’ are essentially taking money away from the children of hard-working taxpayers. This has already caused much anger among Poles, and it would be no surprise if it made them less likely to want to come to the UK in the first place. 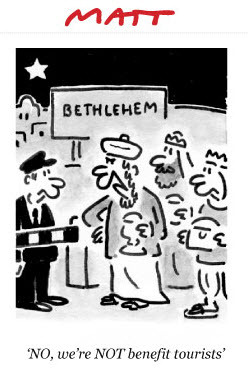 No doubt those who are opposed to immigration wouldn’t complain about this – but they should perhaps choose their target more carefully. 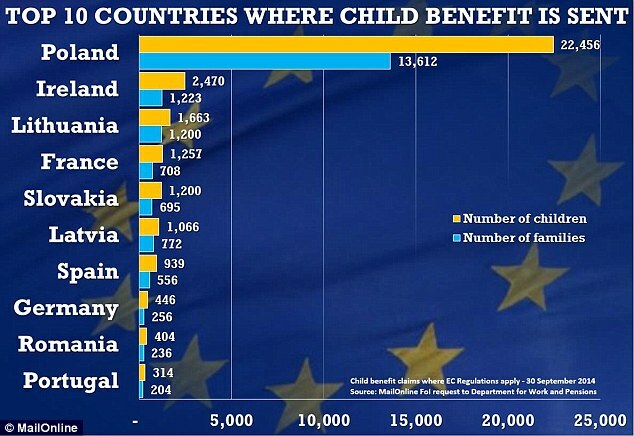 Poles may be the highest claimants for overseas child benefit, but this reflects not any desire to exploit the system, but rather the fact that they are the largest group of EU immigrants in the UK and are more likely than others to stay temporarily, meaning they often leave children at home. In actual fact, Poles are precisely the type of immigrants that Britain should be striving to attract: they have the highest employment rate of any national group in the UK, are among the lowest recipients of benefits, are on average better educated than the native population and have a justified reputation as hard workers. What makes the whole thing even more exasperating is that the amount of money involved, £31m, is pathetic. It represents less than 0.03% of the UK’s annual welfare budget. The fuss over this issue perfectly exemplifies everything that is wrong with current discourse surrounding immigration in Britain: instead of tackling the genuine, significant but complex issues that cause public concern, an artificial, trivial but ostensibly straightforward problem is invented; the proposed ‘solution’ only makes things worse; and in the process one of Britain’s most valuable groups of immigrants is vilified. For a country that takes pride in its self-perceived qualities of fair play and pragmatism, it is hard to think of a policy that is more antithetical to such ideals.